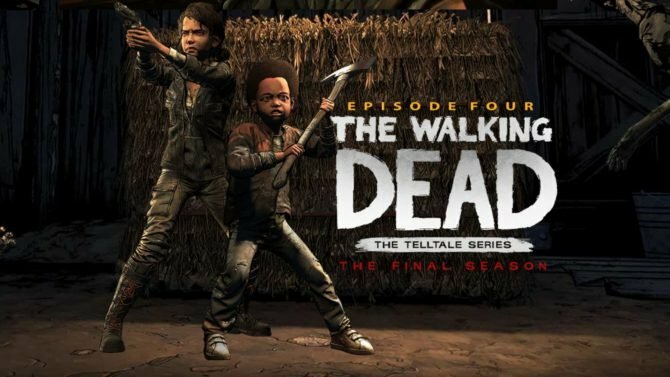 Just a few months ago, the future of The Walking Dead: The Final Season was very much up in the air with the closure of Telltale Games. With the unfortunate end of the studio coming midway through the series’ final season, and the second episode having ended on a major cliffhanger, whether or not Clementine’s journey would be seen through the end seemed like a distinct possibility that her story would be left unresolved. However, in the wake of Telltale’s closure and Skybound Games having picked up the development of the final two episodes in the season, The Walking Dead: The Final Season will, thankfully, at least give fans the closure they were seeking from the end of her story. 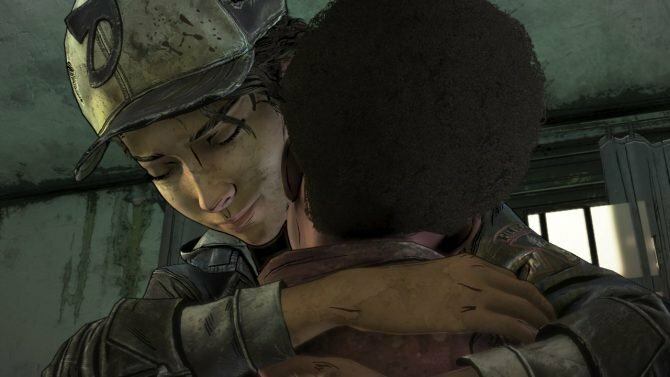 Though the season is now under the wing of a new team and publisher, those fearing that The Walking Dead: The Final Season would have a different feel from what we’ve seen before don’t have to worry; the penultimate episode shows that we’re in for a fitting, emotional conclusion to Clementine’s story, with maybe a few small rough patches getting there. 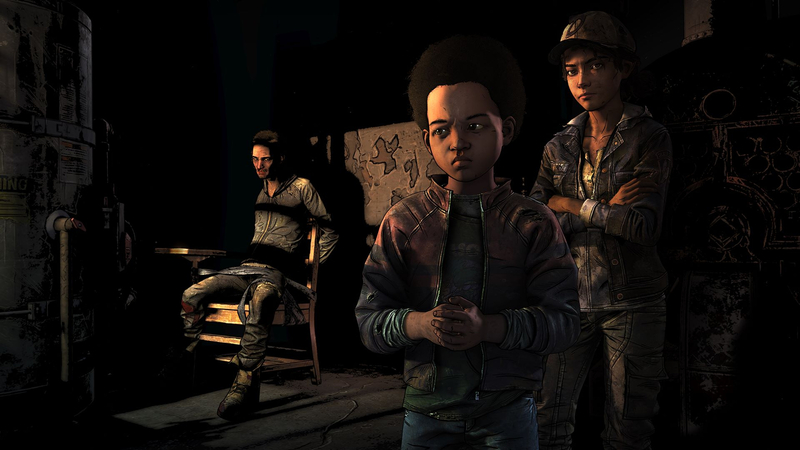 Following the shakeup that occurred in its development after Telltale, The Walking Dead: The Final Season has returned with the release of its third episode, titled “Broken Toys.” As the previous episode ended with Clementine and her group preparing for a major confrontation against Lilly, Abel, and their band of survivors, with several of her own group being held hostage, Episode 3 does an effective job of balancing its action-heavy moments with more character-focused scenes, especially as the episode builds up towards its final act. 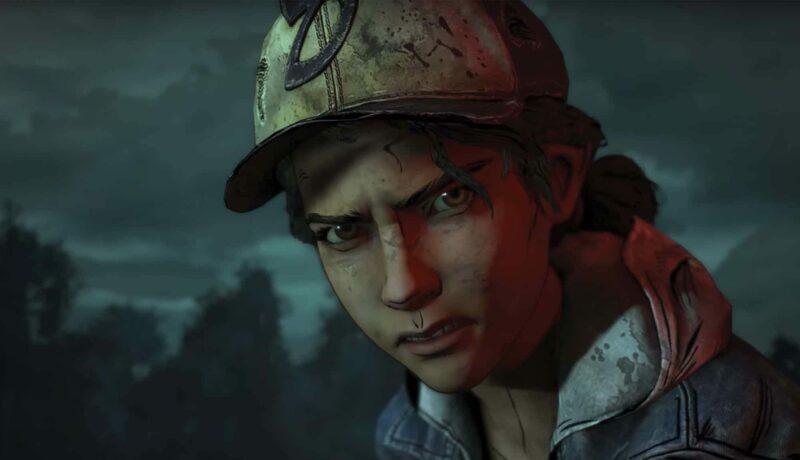 Where past Telltale Games series sometimes felt a bit uneven in their middle chapters largely due to their five-episode structure, the four-episode nature of The Walking Dead: The Final Season has done a great job of creating a bit more of a streamlined approach as we near the end of Clementine’s story. That’s evident right from the get-go with “Broken Toys,” as the episode doesn’t spare players from the unsettling side of things as Clementine and AJ try to get answers from a captured Abel of the whereabouts of their friends. The tension starts fast and doesn’t let up from there, as coming off the battle that closed out Episode 2, “Broken Toys” naturally sets things up for a conclusion that will likely see a lot of bloodshed. 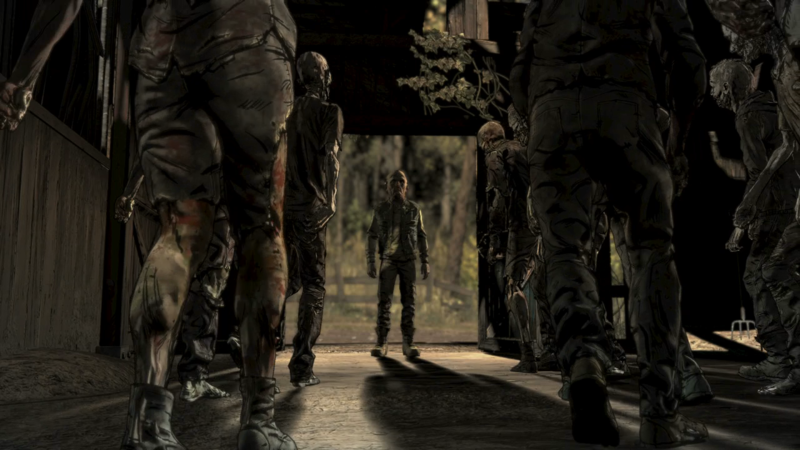 Despite some of the more heated and action-packed moments that make up Episode 3, such as the finale where Clementine and her group enact a plan to ambush Lilly’s hideout, “Broken Toys” still manages to balance this with several poignant character moments that slow things down a bit, but without losing sight of what makes The Walking Dead more than just about its namesake Walkers. 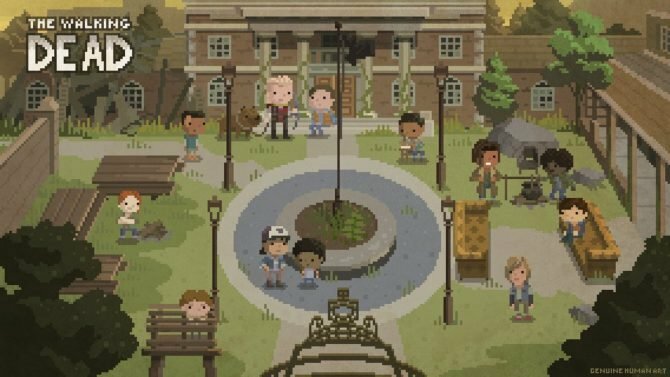 One of the best examples of this comes through a party that Clementine, AJ, and Ruby put together for the rest of the group at Ericson’s Boarding School, shining an incredibly hopeful and uplifting light on the usually dour tone that The Walking Dead franchise tends to embrace. Knowing that they are in for a brutal fight ahead, this sequence effectively builds up the camaraderie that Clementine and AJ have had with this group since Episode 1, in light of their struggles. But the episode even more effectively shines a light on the lives that these kids have had in the wake of their unfortunate circumstances, and the lives of those that have been lost. Likewise, one of the other standout moments from the episode comes from the return of Lee, driving an emotional and striking comparison to how far Clementine has come since we were first introduced to her in the first season of The Walking Dead. Coming to Clementine in the form of a dream sequence, the scene between her and Lee not only works as a tieback to the series’ beginnings, but brings new context in the relationship as Lee admits that he too was sort of making things up as he went along. 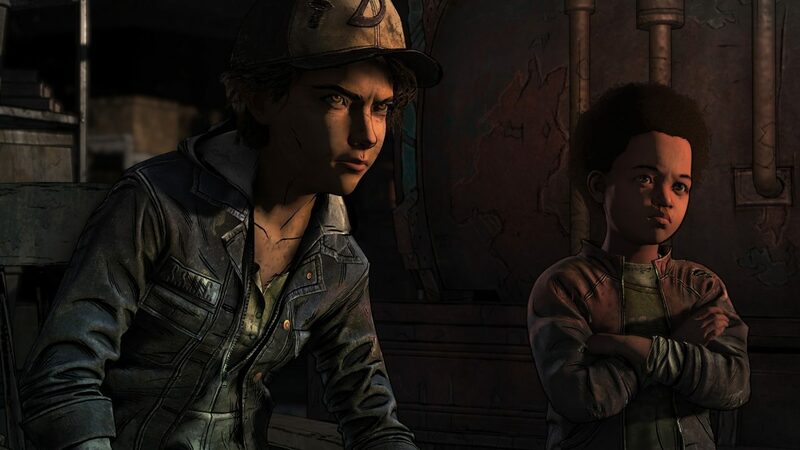 In comparison with how Clementine has now become the parent-like figure for AJ, seeing her reflect with Lee on her journey admittedly got me emotional, and brings an effectively emotional highlight to this penultimate episode. The storytelling and narrative strengths of The Walking Dead: The Final Season haven’t been lost with its development being taken over by another studio, and likewise its visuals and gameplay haven’t lost much in the transition either. While a few of the expected technical hiccups from Telltale Games’ past came up during my playthrough of Episode 3–mainly slight framerate hitches from loading into the next sequence–this time around the more action-heavy, gameplay-oriented sequences of the episode felt a bit more hit and miss in execution. This came around specifically from a stealth sequence in the second half of the episode where Clementine and her group shield themselves with walkers to avoid enemy gunfire, which felt a bit undone by frustrating gameplay mechanics. As Clem and the group march their way towards Lilly’s hideout and have to grab walkers to avoid enemy bullets, I died numerous times having released that certain Walkers were scripted to die at specific points, making it a crapshoot whether or not I would make it through the sequence unharmed. As much as I appreciated The Final Season trying to incorporate more traditional gameplay sequences alongside the signature Telltale-style dialogue systems, this was one of the unfortunate instances where quicktime events might have made for a smoother segment of the experience. 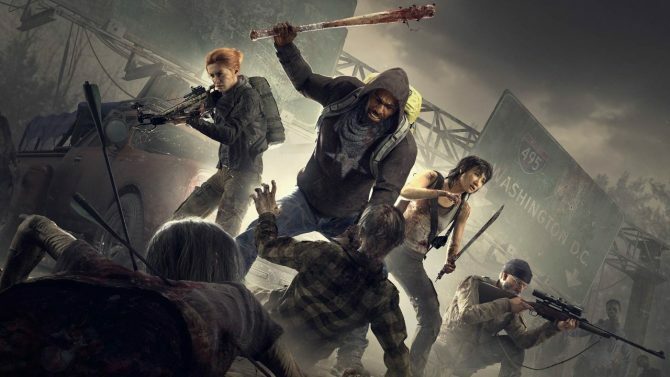 Outside of those small technical issues, the third episode of The Walking Dead: The Final Season still manages to reaches many of the highpoints of the series’ earlier seasons with a great blend of tense action and poignant character moments. While some might have expected a bit of a snag with the behind-the-scenes troubles that occurred midway through its season, The Walking Dead hasn’t lost a beat in the second half of its final season, and in just a few months from now we’ll finally get to see the conclusion of Clementine’s story. Based on how “Broken Toys” plays out, I’m looking forward to the end of Clem’s tale as much as I am anticipating it to be a heartbreaking finale.